There is 1 huge reason why you should not buy a Gigabyte motherboard, and that is the lack of proper fan control. Please bear with me as I explain. 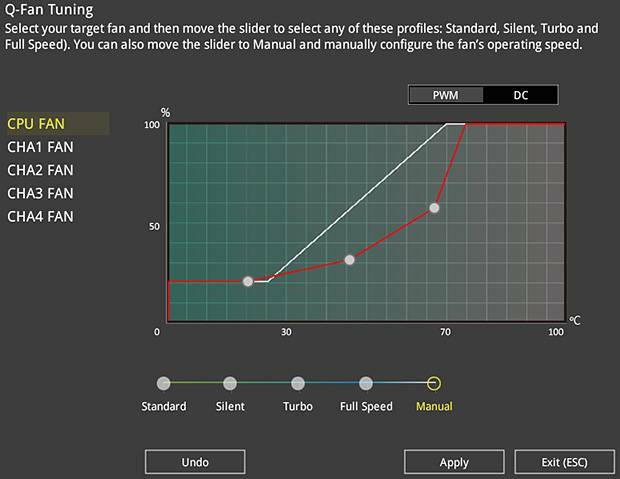 For example, Asus, ASRock and MSI allow you to precisely set your fan speed curves in piecewise linear functions within the BIOS, to achieve a perfect balance between low idling noise and good cooling under stress. The settings don’t stick after reboot. You would have to tune and set everything again every time you restart the computer. SIV is only available for Windows, so people who use other operating systems like Linux and Mac OS (Hackintosh) are left with only the primitive fan settings in the BIOS. 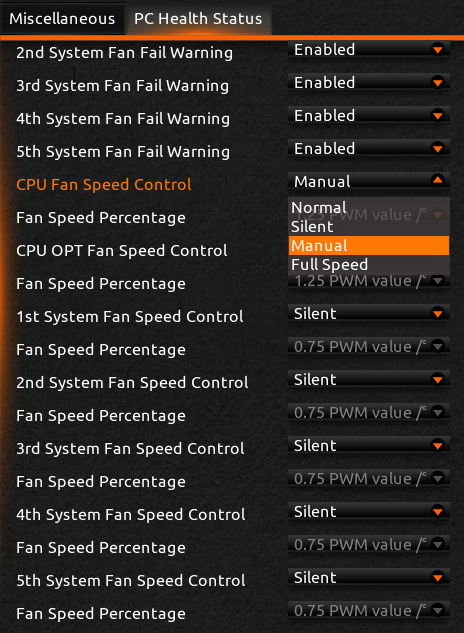 In the Gigabyte BIOS, all you can choose are these: normal, silent, manual and full speed. 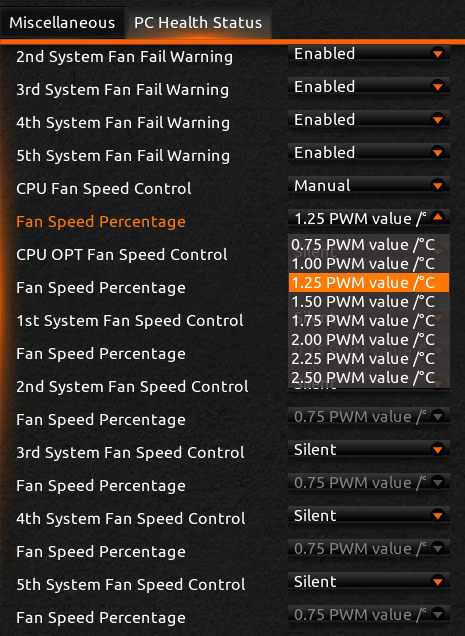 “Default” and “full speed” are loud even when the CPU is idle, and silent does not give enough fan speed at high temperatures. These modes are stupid and useless for most people. The manual option is a bit better, but nowhere as good as Asus’s offerings. Instead of a piecewise function, you only get a single linear function with a changeable gradient. If the gradient is 1.25, then the fans reach 100% RPM when the CPU is at 80℃. This sounds totally fine, but the fan speed will be at 50% at 40℃, causing totally unnecessary noise when doing light tasks like web browsing! Most GA-Z97X boards have no luck with SpeedFan either, because they have the ITE IT8790E custom-made by Gigabyte. So here’s the deal: if you get a Gigabyte motherboard, you either have to buy a separate fan controller, or go through a lot of hassle every time you reboot, or you’ll just have a loud computer. So buy some other manufacturer’s motherboard to avoid regret. Has anything been done to remedy this situation as reported in 2015?